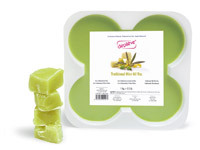 Depilève strip wax is gently heated which heightens its effectiveness and releases its relaxing aromatherapy scent. It is applied in a very thin layer meaning that any discomfort is kept to an absolute minimum. It is then removed using a Depilève waxing strip. The traditional Depilève wax is heated and applied in a thick layer, and removed by hand without using a strip. This method is slower than strip waxing, but is less painful and is more suitable to smaller, more sensitive areas. Traditional wax is often referred to as hot wax or peel off wax. This combines all that is good from strip waxing such as the application of a thin layer of heated wax, the quick means of removal and its ability to be used on all areas of the body, with the comfort of traditional waxing. The intimate wax is specifically formulated by Depilève for the more sensitive and intimate areas including the bikini, face and underarm, that require an extra bit of TLC!. The peel off method is a little slower than the more popular strip waxing but it is well worth it for a deeply soothing and virtually pain free waxing experience. 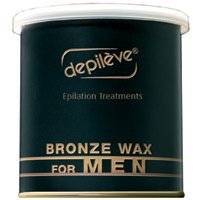 Our male customers out there need not worry, Depileve has a range of strip and film waxes just for men. These waxes are formulated to effectively and comfortably remove stronger, shorter hair and so are perfectly tailored for the men of Ireland! 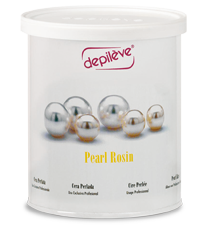 Here at Depilève, we believe that a professional waxing experience must offer much more than just a high quality wax. That is why we offer a full range of lotions and oils to perfectly prepare your skin prior to your waxing treatment, and protect your skin following each session.